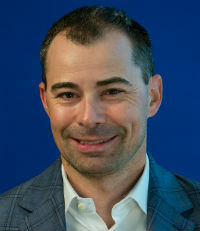 In addition to overseeing the operations and growth of RT Specialty’s Tampa office, Chad Hall is a practice leader for the company’s construction specialty practice. He has built and developed a team of construction professionals who focus exclusively on construction-related placements. Hall has successfully structured and designed casualty insurance for more than 2,000 projects in his career. His specialization has led to unique and creative solutions on residential, commercial, infrastructure, energy, distressed assets, condo conversions and partially completed takeover projects throughout North America and abroad. In 2017, Hall and his construction specialty practice teammate, Erik Davis, were awarded the RT Specialty Construction Broker of the Year Award. A bone cancer survivor, Hall also created, produced and hosted a national television series called Sheep Shape, which focused on individuals who had overcome adversity, following them on extreme outdoor expeditions around the world.